Thanks to Mod Dog for capturing this image on the home page!!! Our 100k Character received a Disk of Returning! On behalf of the entire RSCR Staff Team, we THANK YOU ALL for helping us keep RSC Alive!! The server deserves it, and more! 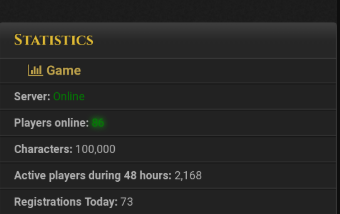 That's a nice number, unfortunately it's just same people with tens of characters and not unique right? Isnt that a bit obvious and self explanatory. Dumbest kid on forums by far. Name makes it look like it was him though!